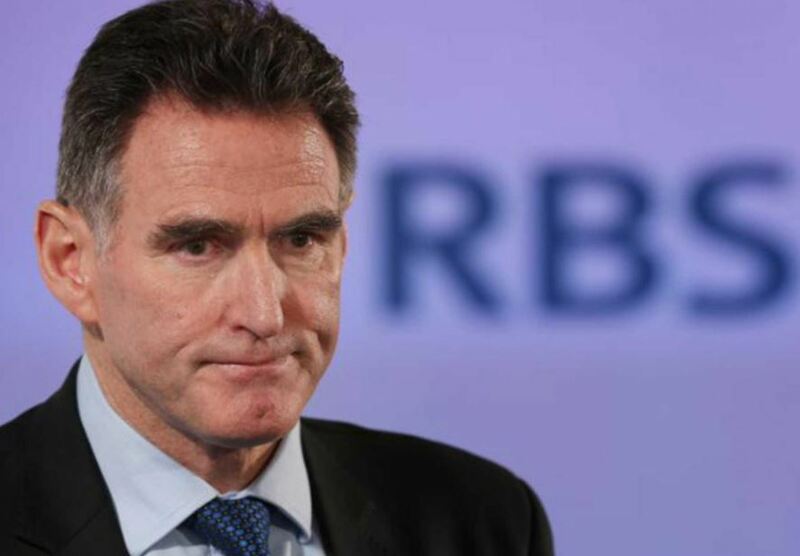 RBS CEO Ross McEwan oversaw “the largest theft anywhere ever“, and said the memo stating customers should be left to “hang themselves” should be “viewed in context“. Stand-up guy. How many thousands of RBS business customers need to lose their livelihoods, homes, health, and marriages before the Tory government warrants its crimes heinous enough to take action? Tens of billions of small business dollars, perhaps more, were lost to banking malfeasance and fraud over more than three decades. After hearing countless accounts in the House of Commons on Thursday about how British business owners were deliberately and systematically bankrupted and then left to, by its own words, “hang themselves”, the government announced its intention to do… well, nothing in the medium term. Economic Secretary to the Treasury, John Glen claimed the government could not determine what further action should be taken, if any, until the Financial Conduct Authority (FCA), concludes its investigation into matters arising from its 2015 skilled persons report. For its part, the FCA claimed that it would finally be addressing the report after more than three years on Monday the 22nd of January, but beyond increasing access to the financial ombudsman, we’ve barely heard a peep from the regulator. RBS was bailed out to the tune of £45 billion in 2008 and has subsequently racked up £58 billion in losses in the nine years that followed. The government could have bailed out every single one of the thousands of small-business customers defrauded and lied to by RBS and its counterparts at HBOs and Lloyds, nationalised the lot, and it likely would have cost less. 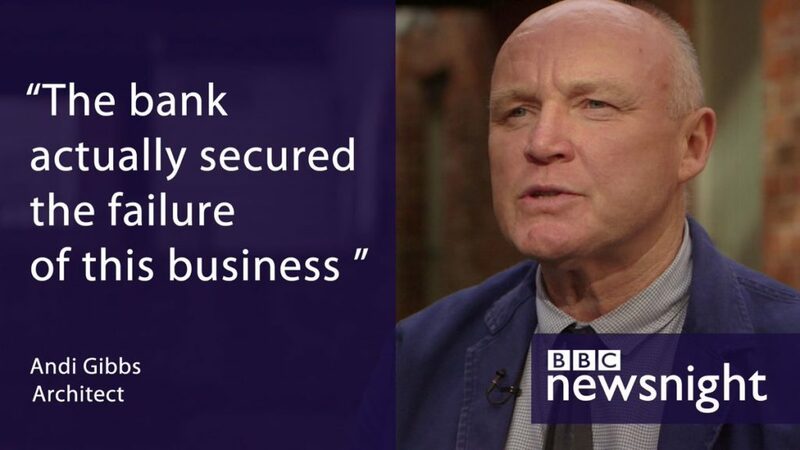 Andi Gibbs says RBS conspired to systematically bankrupt his architecture business. – RBS forced Andi Gibbs to buy an interest rate-hedging product that should have mitigated against rising interest rates, but in fact drained it of cash. It was then placed into its Global Restructuring Group (GRG) which set about forcibly bankrupting the business. “Gibbs lost his business, his home, his marriage and, I think it is fair to say, almost his sanity. His crime: nothing more than being an entrepreneur who banked with RBS,” said Clive Lewis. – Andrea Willows’ business was profitable when RBS refused to provide any funding for a shorter-term loan payoff, attributing it all to a larger loan pay-off that requiring her to come up with the full cost of about £635,000, making the continuity of the business completely impossible. – In 1998, the GRG engineered the fall of Eric Topping’s building and joinery business, Pickup and Bradbury Ltd, which was forced into liquidation after the bank demanded aggressive repayment plans and did not allow sufficient time for company directors to appoint independent valuers to prove the worth of the company’s assets and its solvency. The bank’s advisers consistently undervalued the company’s assets while overvaluing its liabilities, supporting its claim the company was unviable. In July 1998, Pickup and Bradbury was forced into receivership. “Far from being an intensive care unit, it was more like an abattoir, where they were stripped and taken apart,” said Clive Lewis. However, it took legal advice against publishing the long-suppressed document for fear it might be sued by the bank. 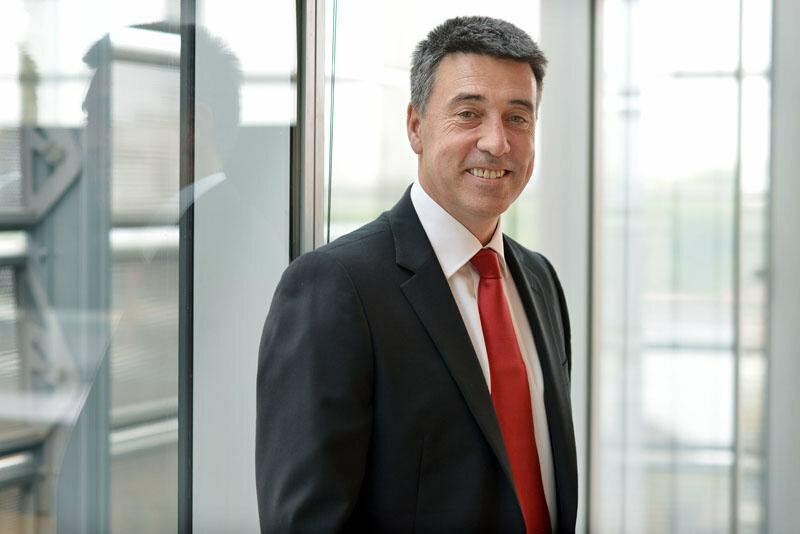 The head of GRG responsible for that policy, Mr Nathan Bostock, is now chief executive of retail bank, Santander. More than 16,000 small businesses were put into GRG from 2008 to 2016, more than 90% were liquidated. Small and Medium Sized enterprises account for 60% of private sector employment and creates 51% of its turnover, but the Big Four Banks have made it impossible for once thriving, successful businesses to continue operating. “The organisations that were meant to be providing the lifeblood of our economy – driving productivity, investment and so on – were in fact destroying it,” said Bailey. When the FCA is intimidated by the banks it is meant to be regulating, and the government defers to the regulator, who is regulating whom? Nathan Bostock, the man responsible for GRG’s policy of forced bankruptcies now works for retail bank, Santander. According to RBS’ own documents, its forced bankruptcies were earning GRG £89,000 a minute, making it one of the most profitable sectors of the bank. And as Clive Lewis pointed out, none of the frauds that were perpetuated against small business owners would have been possible without teams of lawyers, accountants, consultants and auditors, Law of Property Act receivers, surveyors, insolvency practitioners and solicitors that wrote the fine-print and the scripts that allowed RBS to pull off the “largest theft anywhere, ever”, of small business assets whose value is estimated to be in the tens of billions. MPs from both sides of the political aisle called for Lloyds to publish its report in its entirety, along with the FCA’s s166 report on the conduct of the Royal Bank of Scotland, the creation of a fully-funded independent tribunal system and inquiry into the RBS, Lloyds and HBOS frauds, along with enough police resources to satisfy a criminal investigation. Neither party disputed any of the accounts presented during the debate, and the consensus as to the criminal conduct of the RBS was bipartisan. Still, the government’s first call of action was to do nothing. 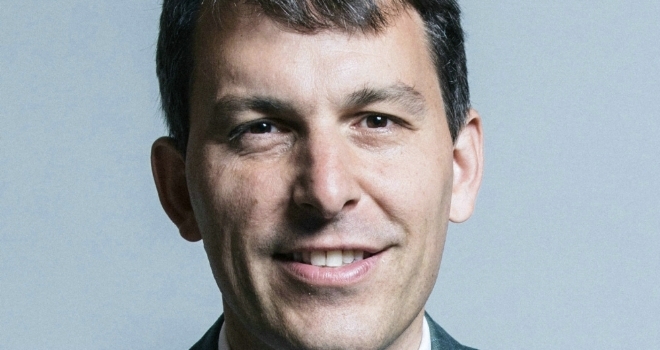 The deadline for the FCA’s investigation into its skilled persons report has come and gone, but still, John Glen is sticking to the government’s plan to do nothing. Economic Secretary to the Treasury, John Glen, said the government could not determine what further action should be taken until the investigation into the skilled persons report concludes. Well that deadline has come and gone now. Increasing access to the ombudsman – which itself is feckless in its authority and ability to bring the banks to justice – isn’t good enough. These accounts are now, finally, part of the official record. And so is the government’s indifference. Thanks Claire, very comprehensive and prescient. What do you thin the implications are for Australian Real Estate Investment Trusts – er sorry,… banks ? RBS was not the only bank terminating lower interest credit lines for business customers with higher more costly alternatives leading to ultimate bankruptcy. The government was implicit due to the fact it nationalised the banks whilst allowing businesses to go to the wall. It’s hardly surprising the government is not holding anyone to account as there is no real independence but a direct conflict of interest. The same holds true for the regulators . There is no place for justice to prevail except for countries such as Iceland where those trusted with our savings are proven of gross mismanagement serve time. Financial institutions with headquarters within the protected square mile of London appear to evade prosecution under special provision of immunity. Appears to be legalised theft. Royal bank of scotland are facilitating criminals by funding lightsource, a solar company who owes pension funds 2.5 billion and is stealing land (one site maghaberry in n.ireland run by g4s) who mr may has shares in. After 5 raids by what we call plastic police, set up by banks, government, lightsource acting as baliffs illegally with no paperwirk are trying to callapse a trust to gain title to maghaberry prsion as they don’t own the land the prieon sits on.every judge knows but turn a blind eye. 250 million pound site, the banks have stopped the fwrmer from selling by producing false documents backed by fraudulant land trqnsfers, fake charges wnd even court ordere created by solicitors, lawyers and not one signed for fear of such fraud coming to light. All involved should be locked up, as 100, 000 of lifes have been destroyed and even suicides are the norm. Scary times, backed by our politicians, who’s top instigator mrs may knows about this and does nothing..
Just as well we’re planning to decrease the regulatory burden on the ‘wealth creators’ (ie debt creators) in The City following Brexit, isn’t it!? Phew! With them leading the way, we’re set fair for a prosperous future, speculating our way to the stars. Beats all that silly ‘manufacturing and export of goods’ stuff anyway – that’s for losers. After all – what could possibly go wrong..? These two guys are so silly, the deep state runs the show, the government don’t run the show. Rbs should have gone bankrupted, fred did o kay we are paying his pension. Wake up has Rothschild said in the 18 century give me control of the money supply he as got it. Following the APPG Debate in the House of Commons on the 18th January 2018, Fair Banking Debate, I have drafted a paper outlining the way forward. The inception of the Controller of Banking (CB) and the Financial Complaints Regulator (FCR) with powers of the ombudsman enhanced. •	“Controller of Banking” with the powers to hire and fire Chairmen, CEO’s, and FDs’ should a bank be fined in the future, for corrupt banking practices or any other misdemeanour. •	Employment Law will require changing to reflect the fact that banking is a privileged profession and to facilitate the removal of Chairmen, CEO’s, FD’s and management. i. Removal of Government’s “tripartite” structure of oversight of the profession, to be replaced by twin pillars – The Controller of Banking and the Financial Complaints Regulator. v.	Controller to monitoring all Management Information relative to the liquidity of the bank and the risks that they are exposed to. vi. Controller to monitoring all Credit Committee meetings and outcomes. vii. Controller to review all minutes of Board and Credit Committee Meetings. viii. Controller to replace all unqualified people from the Executive of a Bank, by imposing compulsory qualifications for Chairmen, all Board Members, and Senior Management, as either a Certified Retail Banker, or Chartered Associate, from a recognised Banking Institute or Academy in the UK; with Continual Professional Development monitoring to ensure that knowledge is up to date and relevant. x. Anything else that is considered appropriate to ensure that sound governance is instilled at the top of banking. The aim is to ensure that the Chairmen, Board Members and senior management take full responsibility for the management of their banks’ and the risks that they are carrying. The secondary aim is to ensure disciplined and educated management are trained and available to support the succession plans for a banks’ future. Never again should unqualified people hold the country, Regulators and customers to ransom. All stakeholders are to be responsible. •	Amalgamation of the Financial Ombudsman Service and Financial Conduct authority, and with the respective economies of scale available, set up the newly proposed “Financial Complaint Regulator” (FCR). •	Complaints received by banks’ are the bellwether indicator that Chairmen and Boards’ and senior management, rely upon, to ensure that sound corporate governance is evident across the whole bank. These affect everyone and need controlling. •	Complaints identify failings in people, governance, systems, controls and operations. When acted upon immediately they ensure that customers and depositors are secure and happy with the bank. •	The Financial Complaints Regulator’s role will be to ensure that all complaints received across the banking spectrum are monitored, controlled, and actioned effectively, to ensure expeditious resolution for their customer’s problems. •	The FCR will report to the Chair of the Treasury Select Committee on Banking weekly with a summary of all complaints received by their bank. The FCR will report weekly to the Controller of Banking, identifying areas of potential systemic failure in the banking system. •	The FCR will be responsible for mediation in the form of an Independent Tribunal, to ensure that no complainant resorts to Law. •	Indeed, with effective mediation and resolution the customers will have no need for recourse to the Courts, thus freeing up valuable court time. This root and branch change is essential to ensure that focussed regulatory oversight of the profession is seen to be done and that customers are foremost in every way. By making Chairmen, CEO’s, FDs’ wholly responsible for their banking governance and operational behaviours it is expected that the implicit government guarantee to the banking sector can fall away. Robust oversight from “Controller of Banking” or other such name, and the “Financial Complaints Regulator” will ensure that the roots and branches of banking are controlled; ensuring sound corporate governance is evident and working. Nigel J D Harper FCIBS, Chartered Banker, MBA Banking, FCIB, ACIB, CeMap; Independent Retail Banking Consultant, Board Member of the Awarding Body of the Retail Banking Academy and Examiner for the Retail Banking Certificate. Former Council Fellow of the Chartered Banker Institute (stood down in January 2018). This is the first step and a very positive step; Thank you all for attending the debate and voting for the establishment of an independent Tribunal, which is essential. 2. The Statute of Limitations, abused by bankers to great effect, against the victims, who neither have the money, expertise, or time to fight the banks. A waiver of the Statute of Limitations is very necessary in all cases where banking is involved, until all disputes with the banks’ are detailed and heard by the Banking Tribunal. 6. The rewriting of FSMA 2000 and 2012 by bankers, to reflect rules, rather than guidance. 7. Mandatory training and qualifications for Chairmen and Board Directors as Chartered Associates, Certified Retail Bankers or Chartered Bankers. No longer should ignorance of the banking syllabus be acceptable by those leading the profession. 8. Rewriting of Employment Law for Bankers to reflect the privilege that the profession has and to permit the Controller of Banking to hire and fire as necessary. 9. Fines, these are an abomination to the profession. Any Bank Chairman fined should be fired and prosecuted. 10. Repayment of the Thames Valley Police and Ratepayers account of £7 million pounds. For the Ratepayers of the Thames Valley to be penalised, along with the victims is inexcusable. 11. The failings of the FRC, and all other Professional Bodies represented here: Insolvency Practitioners, Accountants, Auditors, Lawyers, Valuer’s, and Vulture Funds, who have weak or no regulatory governance. 12. Putting professionally qualified and time served bankers at the top of banking, in the Chair and on the Board. I attach my two page Executive Summary that highlights the main issues, relating to the failed governance of banking over the last 30 years, caused by successive governments and Chancellors, with solutions for remedy. No one has got this right over the decades. The problems are the Insolvency Practitioners, Accountants, Auditors, Lawyers, Valuer’s, Vulture Funds, and in part the judiciary, who believe that they understand banking, when it is clear that they do not. Having been in banking for the last 43 years, last banking appointment as MD, the Boardrooms of the banks’ have been infiltrated by the above professionals and have caused banking to lose its integrity and professionalism. A great deal of the problems are caused by unqualified Chairmen and Board Members who are not qualified as Chartered Bankers, Chartered Associates, or Certified Retail Bankers. They are not fit for purpose. Almost every other trade and profession requires qualification or licensing before anyone can work. In banking this is not the case. Why are the bankers’ different? When I joined banking, in 1971, no one could expect to be promoted to Senior Management, or the Board, without being fully qualified and time served, with a minimum of 25 years lending expertise behind them. 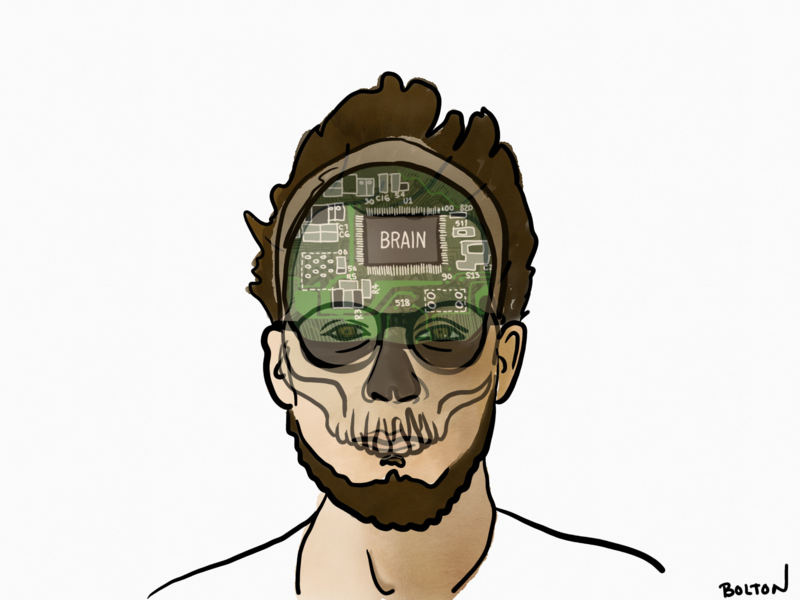 The reason is simply this, it is impossible to gain the requisite knowledge to function at board level without the expertise gained throughout the bank structure over the years. Of the 120 buccaneers that caused the banking crash globally in 2008, few were qualified professional bankers and practising their Banking knowledge and expertise. We have no option but to remove government, and Treasury from the process, they have failed for too long to establish a workable regulatory process. They have not got it right yet !!!! Regulators, who are afraid of threats of litigation can never be considered as ‘policemen’ of the profession. For bankers to wield their financial power, to threaten the regulator, who is supposed to be protector of the customers, is nothing short of criminal. This should never happen again. I recommend the inception of the Controller of Banking be established with the powers to hire and fire Chairmen and Board members when a bank is fined. I also recommend the amalgamation of the FCA and FOS to become the Financial Complaints Regulator, with total powers to investigate any complaints and to adjudicate using an independent Tribunal to adjudicate for any victims of the banks whose complaint is upheld. See two page summary attached to show how I would expect this to work. After 43 years in the banking profession, I do not consider anyone that purports to be a banker today in the same league as those of Sir Jeremy Morse and Eddie George or myself. Dr. Andrew Bailey is a sound fellow but needs to be given the tools to do the job. He has picked up the poisoned chalice and has done a sterling job against insuperable odds. Were he to be appointed as Controller of Banking, with my working alongside him, providing him with sound practical banking advice, gained over the last 43 years, with 7 years at HMRC as Retail Banking Specialist, I am sure that the profession would regain its true status in society and trust would be restored. The buccaneers would be outed, and law and order restored. The influences of the Insolvency Practitioners, Accountants, Auditors, Lawyers, Valuer’s, Vulture Funds, and in part the judiciary, would be negated and removed from any influence over the bankers and Chairmen and Boards. They have broken the Public Trust and they have all supped from the bankers cup for too long. The Treasury are equally to blame. I should welcome a meeting, with any of you, whom are interested in protecting my revered profession, for the future success of the country and its people. I have witnessed the good, bad and the plain ugly. What has occurred since 2008 is plain ugly. Lies, obfuscation and deceit from the banks’ in question and their Chairmen and Boards. This has to be eradicated from business life and practice. Board Member of the Awarding Body of the Retail Banking Academy and Examiner for the Retail Banking Certificate. Former Council Fellow of the Chartered Banker Institute (stood down in January 2018 owing to my involvement with the APPPG Fair Banking and SME Alliance). The economic and social impact of rapid technological progress including artificial intelligence, automation, intelligent robots and self-driving cars will be a key theme for this week's meeting of the World Economic Forum (WEF) in Davos. Graham Brown-Martin asks how our global education systems can respond to what the WEF calls the "fourth industrial revolution".